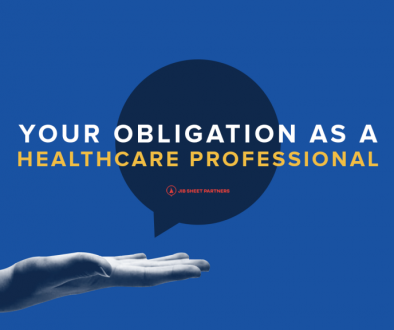 If you haven’t had the opportunity or found the time to read Your Obligation as a Healthcare Professional; Why Is Healthcare Marketing Important? I am going to assume you understand your responsibility as a healthcare professional. I want to take a second and remind you of what’s really going on with your patients through the new patient experience and process on where to find a good doctor. 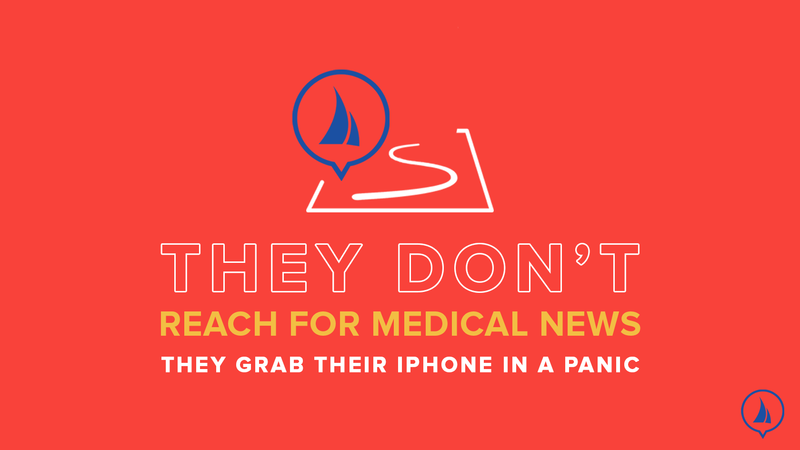 Patients do not begin by reaching for their copy of medical news or researching the data in an ever-evolving database of symptoms or genomes; they grab their iPhone. 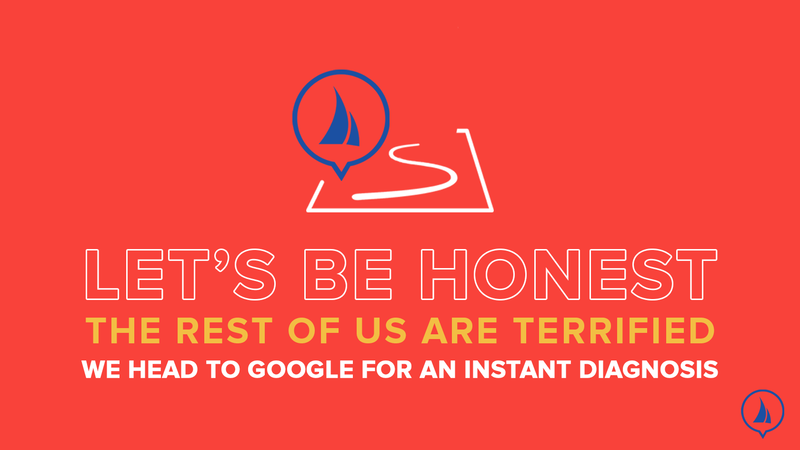 We can all relate to the quick swipe to Google with trembling fingers as we panically type in our symptoms and anxiously await our internet diagnosis. 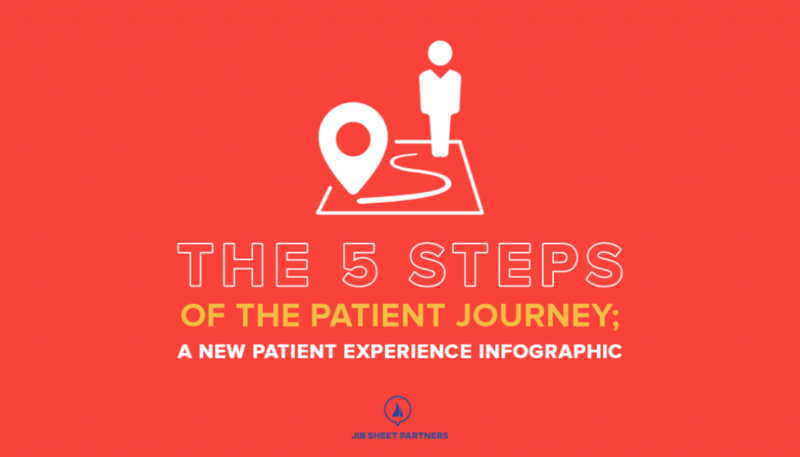 To better approach our healthcare marketing efforts, let’s look at the five steps of the patient journey in depth. Every new journey has to start with that eureka or “discovery” moment. Discovery is that emotional moment when a patient realizes it is time to seek medical attention. I always find it funny that, unlike the rest of us, whenever a doctor’s or nurse’s child has an issue, nobody panics. The kid has pain, no problem. The kid’s rash is spreading, no need to worry! Maybe it is the desensitization that comes with a medical healthcare professional’s job? Maybe they just have more knowledge and recognize the issue’s extent? But let’s be honest, the rest of us are terrified! We are scared, flustered and immediately reach for our phones. We head to Google for an instant diagnosis and cure for our symptoms! Unfortunately, the amount of content online is not only overwhelming, but it’s also misleading. 10,000 doctors in New York State? That chest pain is heart disease?! We need an obvious answer! We are expecting a visible and trusted solution that specializes in our unique symptoms. According to Google, I have “30 minutes to seek medical attention” because I have self-diagnosed my gas as a heart attack. The reality of the situation is that I need to locate a healthcare solution that is best for me (and quickly)! I don’t have the time to sift through countless options and an overwhelming amount of content to find the right solution. Wouldn’t it be nice if someone broke down the complexity of healthcare and medicine into a language I could understand? Okay, so I have narrowed down my search and I know what type of professional I am looking for. Now, I need to measure my options and find the best solution for me. Does this doctor accept my insurance? Are this doctor’s reviews positive? Do other people like them? What is this doctor’s success rate? How long is the average wait for an appointment? Who is the PA? Is this doctor qualified? Are they accepting new patients? I know what I am looking for and unfortunately, I now have to read reviews, bios, content, ask the people around me and really make sure that this is the best solution. Too bad that all of the websites I find are outdated and I can’t find reviews from others experiencing what I am! 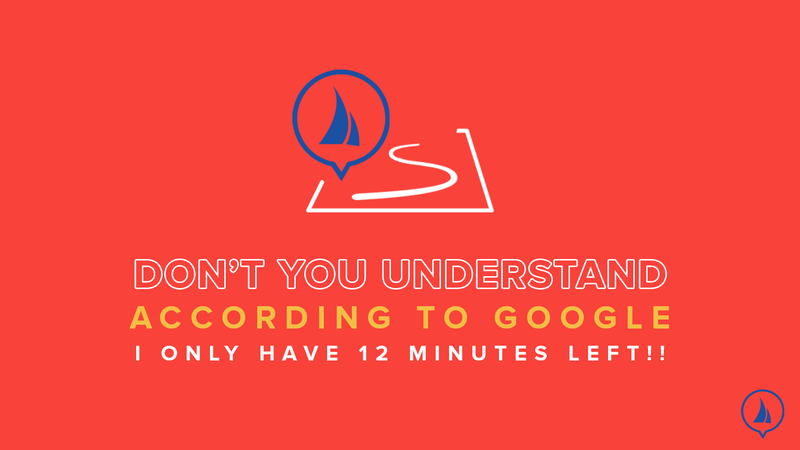 Do these people not understand that according to Google I have 12 minutes left!? Let’s assume that I make it past my self-diagnosed 12-minute mark! I select a healthcare provider in my area who understands my situation, accepts my insurance, has positive reviews, and is accepting new patients. Now I need to make a purchase or immediate transaction. I need to book that appointment, stop by the office, or call and speak to a nurse. I wish It was as easy as pressing a button at the top of their website to speak with a nurse! Unfortunately, my next step is to sift through a ton of content, get to the bottom of the page, find a phone number, wait to be connected and maybe get my questions answered over the phone. I continue this never-ending cycle of moving through each practice on my list until finally, someone says that I only have to wait 4 weeks for a new patient appointment (because, lucky me, someone else canceled). How amazing would it be if I had filled out that information quickly online with one button and a nurse called me immediately with my options?! Okay, Okay, Okay! So maybe I overreacted a bit with the heart attack issue. No, I am not a hypochondriac. 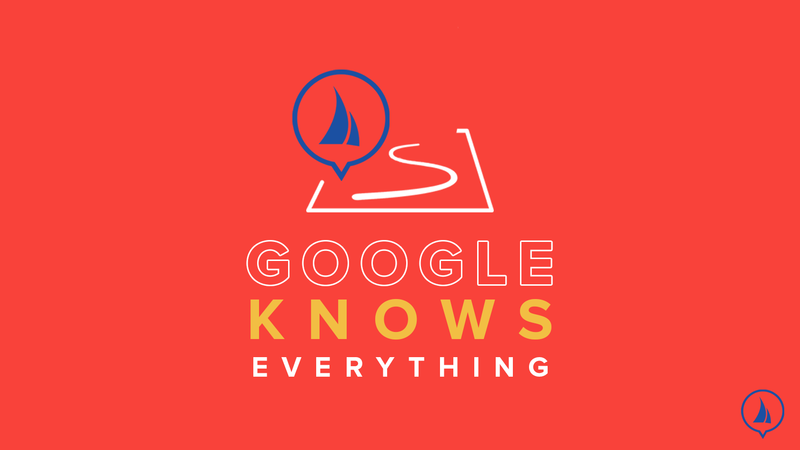 Google knows everything and that was the medical information available to me online at the time. I finally got a chance to see the doctor and truth is, I am feeling much better. Although I have taken many days off of work throughout the last four weeks, the doctor gave me some antacid samples and my gas has subsided. Unfortunately, the doctor has informed me that I suffer from something known as IBS or Irritable Bowel Syndrome (my wife was right…). Next, I am likely going to need to return over the next six to eight months as my new doctor helps me understand my issues and better create healthy habits to manage my symptoms. I really love that this doctor not only helped me understand what was going on and addressed the issue at hand but is also providing me with help to manage it over time. 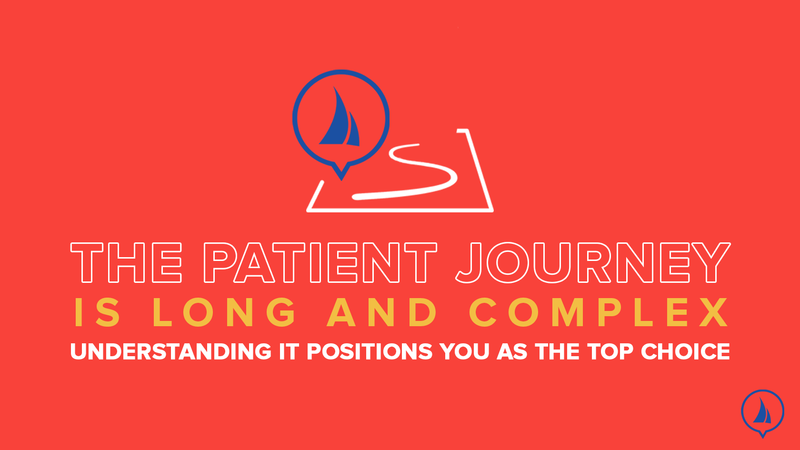 Look, the patient journey is long and can be extremely complex. There is light at the end of the tunnel, but if you aren’t taking the time to understand where your patients are coming from and the headspace they are in when going through the process, how can you expect to be the right choice for them?